I hope you all have had a good start to the year. I've been on a bit of a blogging break. Nate and I took a mini vacation and that brought us right up to the first week of the new semester. I don't know what it is about the first week, but we usually can just barely get through it. This week in particular not only had the start of classes but my first residency interview, a site visit to accredit my medical physics graduate program and Nate flying to Texas for the annual math meeting. That would have definitely been enough but then our Fit's alternator died. Anyway, it's been an interesting week. On a more relaxing note, Nate and I had been planning a mini get-away for awhile to celebrate our 10 years together, 5 years married and Nate's 30th birthday. We didn't go far, but it was just the two of use for a few days. 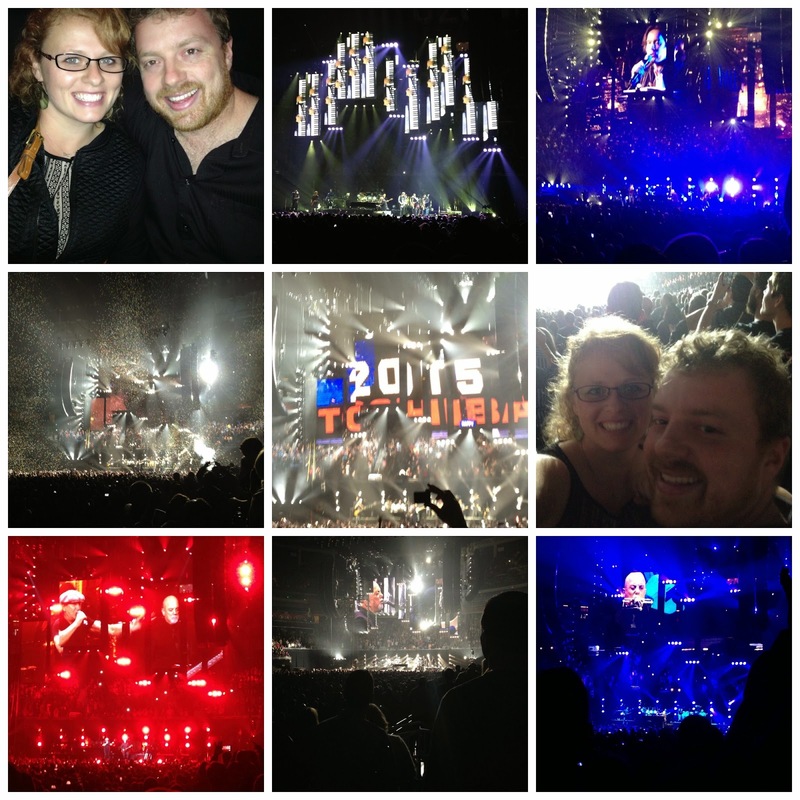 We kicked the trip off with tickets to Billy Joel on New Years Eve. The info for this concert was kept really quiet so nobody knew who was opening for Billy Joel or if anyone was opening, how long the concert would go, or anything except that it was New Years and it was Billy Joel. The entire place was packed all the way up to the nose-bleed section. It was the best concert we've ever gone to. Rufus Wainwright opened, which was amazing, and Brian Johnson from AC DC surprised everyone and sang one song with Billy Joel on the guitar in the middle of the show. Rufus Wainwright also sang New York State of Mind as a duet with Billy Joel. Other than that, Billy Joel sang straight for 2 and a half hours. It's amazing that after so many years he's still so good, so popular and even more talented on the piano than ever. He even ended the night with Piano man. We had such a great time. You can check out a few of the videos we got below.